Quantity Surveyors are in demand and their demand continues to grow globally. Quantity Surveyors are an expert in determining the building cost at all stages. 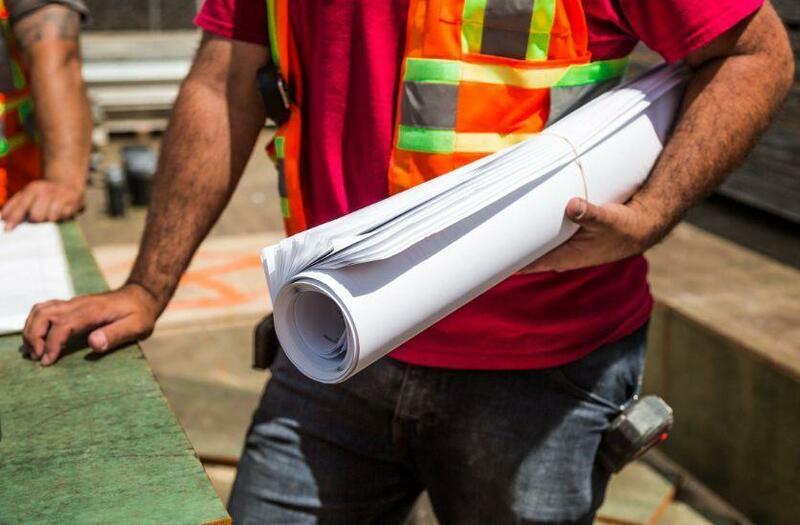 Extremely trained professionals offer expert advice on the building construction cost, life-cycle cost, procurement cost, and tendering, commercial management; cost planning, and contract administration. For every kind of iconic building in the world, quantity surveying involves the strong financial, interpretative, and analytical skills of the surveyors. Because clients are completely depended on their judgment for the smooth running of their projects, also provide value for money involved. Before the start of any construction project, the quantity surveyor analyzes the drawing and specifications of the new building that architects or engineers provide. This involves the BIM (building information Modeling), from this the surveyors calculate the quantity of the material used in the building. Also, they must calculate the accurate work or labor cost. Quantity surveying relies on the technical measurement tools for accurate cost result. For example building cost historical data to analyze and give the early cost advice, budget the benchmarked projects and to prepare the lifecycle plan. For this, he/she must have a thorough understanding of building regulations in order to hold on to them and make sure the building project passes. During the whole construction of the building, surveyors keep eye on the cost. Hence, quantity surveying is an essential part of any new building construction and renovation project. You can hire a surveyor company if you need any kind of assistance. The infrastructure sector has been considered as a key driver of the Indian economy. As this sector is propelling the overall development across the world, specifically in India, with intense support from the government, a career in this infrastructure sector will be a lucrative one. The infrastructure sector takes care of the development of bridges, roads, building, dams, and others. Quantity surveyors play a key role in managing the finances for construction projects and make them cost-effective; hence, they have earned a lot of attention in recent times. The primary responsibility of a quantity surveyor includes calculating the budget based on the consumer’s requirement and preparing an effective budget estimate for each stage of the construction process. If you have good financial management skills, besides exposure to civil engineering projects, becoming a quantity surveyor could be the best choice for you. Here is all you need to know about this unique career. As the job profile is closely related to the finance and construction field, candidates from the engineering or architecture discipline will have an added advantage. One can take up a diploma, graduate or a postgraduate programme in quantity surveying to become a professional. Candidates should possess a degree in engineering, architecture or planning from a recognized institute or university to pursue this course the majority of the candidates comes from the Civil Engineering background. Candidates from the non-engineering background can also take up the course with two years of work experience in a construction firm. Candidates who possess an academic qualification in quantity surveying will find a plethora of job opportunities in the construction field. The demand for quantity surveyors is high because of the shortage of workers with practical experience. Many private companies even recruit freshers with a good pay structure. Most of the quantity surveyors will be associated with construction companies and property developers. They will also find jobs in subcontractor companies, project management companies, construction material supplier companies, insurance companies, etc. After attaining enough experience in this profession, quantity surveyors will have an opportunity to become a contractor. One can specialize in project management after a course of time. Some of the other options that quantity surveyors can opt for our risk assessment and logistics management. There are a limited number of experienced candidates in this profession, hence, companies are recruiting candidates with a high pay structure. The average pay for a quantity surveyor fresher is 366,266 per year (Source: Payscale India). There are a lot of monitory benefits for the candidates who work in foreign countries. We have made an effort to present you the list of the best colleges and private institutes offering specialized programmes in Quantity Surveyor at degree, diploma and certificate level. Following are the institutes offering quantity surveyor courses along with their other construction management programmes. For the last few years, all of these institutes have good track records for training the civil engineering students, graduates & professionals and also for finding them the good career opportunities as well in the construction industry in India and aboard. This list includes the quantity surveyor course fees, quantity surveying courses in Trivandrum, Trichy, Coimbatore and other cities in India, All these institutes offering the MEP quantity surveyor courses & quantity surveyor training institutes in India. You can also find here the list of quantity surveying companies in India offering quantity surveyor training programmes for students, graduate, and experienced Candidate. N.B. : This list is not based on any rankings, it is for the information purpose only. 1) NICMAR: One Year Programme PGP QSCM : Post Graduate Programme in Quantity Surveying and Contract Management. One-year, full time, residential Programme for degree holders, offered from Hyderabad(Shamirpet). The National Institute of Construction Management and Research (NICMAR), has been constituted as a nonprofit organization with the express objective of engaging in activities for the promotion of training, research, professionalism and skill formation at all levels of the construction and other allied industries. Besides that, Nomar’s objectives include undertaking special projects, collaboration with other organizations, dissemination of knowledge through seminars/conferences, etc; publishing literature, undertaking consultancy and taking necessary actions conducive to the fulfillment of the objectives of the Society. Under the Bombay Public Trust Act, 1950, NICMAR was registered as a Public Trust in 1982. The NICMAR Society was constituted in 1984 and registered under the Societies’ Registration Act, 1860. Address: NICMAR Hyderabad Campus at Shamirpet, H.No. 7-06, Jagganguda(V), Shamirpet(M),, Aliabad(P.O. ), Hyderabad, Telangana- 500101,India. RICS School of Built Environment (RICS SBE), Amity University is an industry-led academic institution which delivers specialized undergraduate and postgraduate programs to students aspiring to work in real estate, construction, and infrastructure sector. It also serves as a hub for research and development of technical expertise in the built environment. Established in 2013, RICS SBE is supported by leading real estate, construction & infrastructure firms as well as the Ministry of Urban Development, Government of India. It is a Department of Amity University’s Noida and Mumbai campuses and has enrolled 2500+ students till date. Set up in response to a strong call from the industry to address the challenge of the shortage of skilled professionals, the School aims to bridge the skills gap by delivering industry ready professionals. 3) Reinforce Quantity Surveyors And Training Pvt Ltd. REINFORCE QUANTITY SURVEYORS AND TRAINING PVT LTD. is an ISO certified training company , CIOB Accredited and Govt. recognized company which provides professional and industrial training to civil Engineers , working professionals , B tech and Diploma Civil Engineering students as per industry requirement of construction companies in the areas of Quantity Surveying, Billing Engineering, Tendering and Procurement Management, Construction Management, Project Planning Management, Contract Management, Sanitary and Plumbing Engineering and Civil Engineering job oriented software. The Institute of Quantity Surveyors, Calicut(Kozhikode). has confidently imparted knowledge to more than 475 aspiring candidates and is proud to proclaim the successful placement of all these trained personnel, in top position, in countries like UAE, Saudi, Qatar, Oman, Kuwait, Singapore and India. This has enhanced our joy and prestige and we take this golden opportunity to enlighten you about the aims and objective of our Institution, which helped all our candidates. BHADANI’S provide Professional Training and JOB Oriented courses to civil Engineers(Freshers or Experienced), Contractors and Company Staff for the various positions for working in India and Gulf Countries. The courses BHADANI’S provide are in great demand in India and GULF Countries and these courses will provide better job opportunities in Big MNCs and Major Construction Companies in India and Abroad. The courses BHADANI’S provide are in great demand in India and Gulf Countries and these courses will provide better job opportunities in Big MNCs and Major Construction Companies in India and Abroad. EDGE is a Pioneering Engineering Training Centre formulated to bridge the gap between theoretical concepts taught at University and real-time practical experience. EDGE strives to continuously empower both young and experienced engineers in their respective domains by providing them the essential training and exposure required to survive in the ever-evolving field of construction. SMEClabs is the research, development and training wing of SMEC, an ISO 9001:2008 certified global solution provider and the Authorized System Integrator of Schneider Electric, VAF, Kangrim boilers, Bosch Rexroth, DEIF, VARD, STX OSV Europe. They are in the field of Oil and Gas, Industrial and marine sector works since 2001. Syncline Quantity Surveyors was established in 2010 to provide our clients with comprehensive and personalised Quantity Surveying, Estimating and Tendering services throughout the India. The professional services we provide ensures value for money and unrivalled dedication ensuring each project is managed effectively in the most cost effective manner possible. Institute Of Quantity Survey. is an Govt. recognized training company which provides professional and industrial training to civil Engineers, working professionals, B.Tech, Diploma, Draughtsman Civil, courses you will be competently trained to be Project Co coordinators, Cost Controller, Quantity Surveyors, Reinforcement estimators, Project Planners, Plumbing Estimators etc. and Civil Engineering job oriented software. TAQS takes pride in being a unique, specialized institute in the country for Quantity Surveying dedicated to train the Professional Civil Engineers with its multinational experience of prestigious projects in India and GCC countries. Its educational programs primarily involve imparting / acquiring particular knowledge and skills specifically needed for professionals in construction and allied industries such as real estate, projects and infrastructure. Several national and international organizations, Professional societies / associations and Companies have sought TAQS association with their activities due to the leading position of the Institute in areas of Quantity Surveying in construction, real estate, projects and infrastructure. Address: # 10-3-5/A/3/1, Above Cosmetics Dental Clinic, Besides Humayun Nagar Police Station, Mehdipatnam, Hyderabad -500028, T.S, INDIA. MSN Institutes For Civil Engineers has been established to provide essential support for students and professionals through quality education & training for relevant industries; to increase employment retention, earnings, & occupational skills. The Best Institute for Civil Engineers to Provide practical training to Professionals and Beginners as per the Industry requirements of Construction companies in India and Abroad. We directly prepare Engineers for the various positions like Estimators, Quantity Surveyors, Planning Engineers, Billing Engineer, Draftsman, Structure Engineers, Structural detailer, Interior Designer, Civil Software Trainer, and QA/QC Engineers, Etc.. Address: The Addl Surveyor General, Indian Institute of Surveying & Mapping, Survey of India Uppal, Hyderabad, Telangana, INDIA . pin- 500039. School of Construction Management Excellence, situated in Bangalore, an initiative of A N Prakash Construction Project Management Consultants, has been established to meet this growing need for employability training as well as provide an opportunity for practicing professionals to constantly upgrade their skills in response to emerging market needs. S-CME is offering opportunities in terms of certification courses for emerging engineers to upgrade their knowledge and skills. Provide training to Engineers and Beginners as per the Industry requirements of Construction companies in India and Abroad. We directly prepare Engineers for the various positions like Estimators, Billing Engineer, Quantity Surveyors, Contract Managers-Civil, Land Surveyor, Structure Engineers, Civil Software Engineers, QA/QC Engineers, Planning Engineers, Project Manager Etc. Dynamic Quantity Surveying Training Institute which provides professional and industrial training to engineers and beginners as per industry requirement of construction companies in the areas of Quantity Surveying, Billing Engineering, Tendering and Procurement Management, Construction Management, Project Planning Management, Contract Management. The Dynamic Quantity Surveying Training institute has confidently imparted knowledge to candidates and is proud to proclaim the successful placement assistance of all these trained personnel, in top position in India and in countries. This has enhanced our joy and prestige and we take this golden opportunity to enlighten you about the aims and objective of our Company, which helped all our candidates. Omegacadd Ranks among the top Training Centre’s in Hyderabad, for Imparting Job Oriented Training’s in all Domains of Civil Engineering. On Primary Emphasis is to ensure our students are thoroughly equipped for the Heavy Demands for Industry as were recognize the disconnect between academia and its practical applications. Omega Cadd comprises of engineers who have a vast industry experience & bring the practical edge to academic classroom learning. Office No.17, Tirumala Towers, Street Number 1, Palton, Dayanand Nagar, Malakpet, Hyderabad-500036, Telangana. Civil Engineering a rewarding career option after 10th and 12th Std. Top 7 Career Options After Bachelor Degree In Civil Engineering.